Pieces of Me is a step behind the curtain into the author's mind. 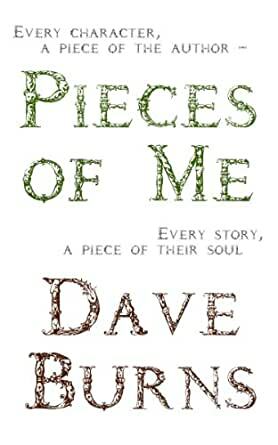 Told through a disembodied narrator, the reader bounces between time and space - between the here and now, and the intricate details of the author's broken past that have woven their way into his tales. Be prepared to embark on a literary adventure inside the dark recesses of the creative mind. "Painting words on a mental canvas..."
"It is the tree that makes it sweet... and it is the roots that make is sour." 5.0 out of 5 starsBoth fun and fascinating- you will want to read it twice! A marvelous fantasy grounded in a moving reality. Burns' poetic use of alliteration alone makes the story worth the read. Don't let this one slip by.